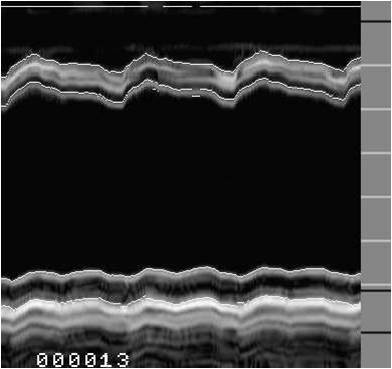 In the carotid ecocardiography, functional parameters (sfittness included) are analized. And the intima-media thickness is also measured. According to the requirements of each scientific protocol, in the predetermined segments of the common carotid artery, carotid bulb and internal carotid artery, the maximum and media thickness are also measured.